Who should not take Chlorpromazine HCL? What conditions does Chlorpromazine HCL treat? Tell your doctor right away if any of these unlikely but serious side effects occur: difficulty urinating, decreased cough reflex, swelling of the feet/ankles, butterfly-shaped rash on nose and cheeks, joint/muscle pain, skin discoloration, eye/vision changes, feeling unusually cold or hot. Tell your doctor right away if any of these rare but serioussigns of liver problems (such as yellowing eyes/skin, dark urine, persistent nausea, vomiting, stomach/abdominal pain), signs of infection (such as fever, persistent sore throat), easy bruising/bleeding, signs of anemia (such as severe tiredness, fast breathing, pale skin, fast heartbeat), mental/mood changes (such as worsening psychosis, unresponsive/catatonic state). Get medical help right away if you have any very serious side effects, including: severe dizziness, fainting, slow/shallow breathing, chest pain, seizures. List Chlorpromazine HCL side effects by likelihood and severity. Before using this medication, tell your doctor or pharmacist your medical history, especially of: liver problems, kidney problems, heart problems (such as mitral valve insufficiency, abnormal heart rhythm), low blood pressure, blockage of the intestines, glaucoma, seizures, enlarged prostate, breathing problems (such as severe asthma, emphysema, lung infections), blood disorders (such as bone marrow depression, low red/white/platelet blood cell counts), low levels of calcium in the blood, loss of too much body water (dehydration), breast cancer, brain disorder/tumor/injury, exposure to organophosphate insecticides, pheochromocytoma, drug/alcohol/substance abuse, Parkinson's disease. The risk of QT prolongation may be increased if you have certain medical conditions or are taking other drugs that may cause QT prolongation. Before using chlorpromazine, tell your doctor or pharmacist of all the drugs you take and if you have any of the following conditions: certain heart problems (heart failure, slow heartbeat, QT prolongation in the EKG), family history of certain heart problems (QT prolongation in the EKG, sudden cardiac death). What should I know regarding pregnancy, nursing and administering Chlorpromazine HCL to children or the elderly? Some products that may interact with this drug include: alpha blockers (such as prazosin), anticholinergic/antispasmodic drugs (such as atropine, dicyclomine), drugs that increase the amount of dopamine in your body (such as cabergoline, levodopa, pergolide, ropinirole), lithium, guanethidine, warfarin. Other medications can affect the removal of chlorpromazine from your body, which may affect how chlorpromazine works. Examples include pindolol, propranolol, drugs to treat seizures (such as phenobarbital, phenytoin), among others. Does Chlorpromazine HCL interact with other medications? 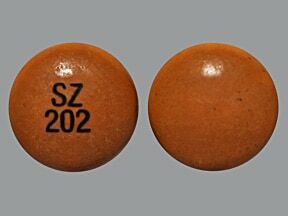 This medicine is a butterscotch, round, sugar-coated, tablet imprinted with "SZ 202". 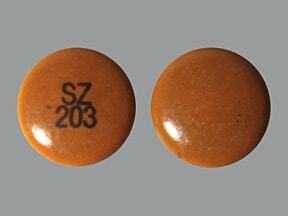 This medicine is a butterscotch, round, sugar-coated, tablet imprinted with "SZ 203". 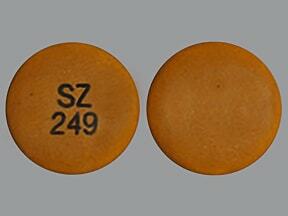 This medicine is a butterscotch, round, sugar-coated, tablet imprinted with "SZ 225". 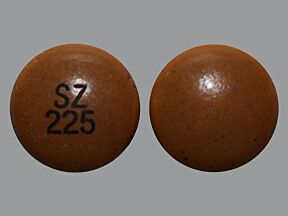 This medicine is a butterscotch, round, sugar-coated, tablet imprinted with "SZ 249". 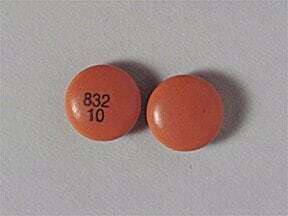 This medicine is a butterscotch, round, sugar-coated, tablet imprinted with "832 10". 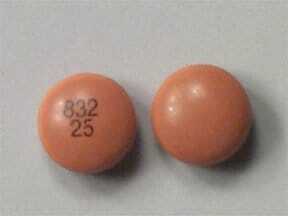 This medicine is a butterscotch, round, sugar-coated, tablet imprinted with "832 25". 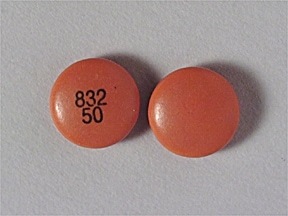 This medicine is a butterscotch, round, sugar-coated, tablet imprinted with "832 50". 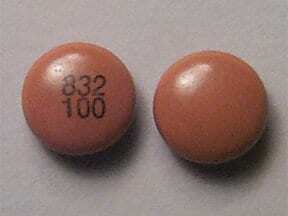 This medicine is a butterscotch, round, sugar-coated, tablet imprinted with "832 100". 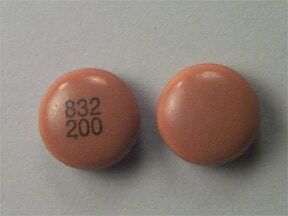 This medicine is a butterscotch, round, sugar-coated, tablet imprinted with "832 200". Are you taking Chlorpromazine HCL? Are you considering switching to Chlorpromazine HCL? How long have you been taking Chlorpromazine HCL?